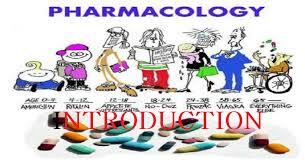 Pharmacology is a subject of Medical science which deals with the study of drugs and medicine that interact with the living system through chemical processes, especially by binding to regulatory molecules and activating or inhibiting body process. Medical pharmacology is a branch of Pharmacology deals with the use of drugs in human body for diagnosis, prevention, suppression and treatment of the diseases. Clinical Pharmacology deals with the study of drugs (pharmacokineties & pharmacodynamic parameters) in the patient & also the healthy person for the safe &effective use of drugs (Therapy).